Team Building has a really bad rap. The thought of even communicating with some colleagues outside of the office can send shivers down a spine or two. The thought of being forced into uncomfortable and foolish situations with workmates is enough to bring on an actual stomach flu for many employees. But here’s the deal: Team Building shouldn’t be uncomfortable, goofy or embarrassing – but it does require communicating. When an employer is putting together a team building session there are a few rules for ensuring your investment pays off. https://www.stephencovey.com/7habits/7habits-habit2.php and begin with the end in mind. Ask yourself: Why am I doing this? What message am I sending to my team? The answers should be related to gratitude and appreciation. If you are doing this on the heels of any kind of breakdown or conflict within the team – your timing is all wrong. Conflicts and disagreements need to be dealt with in the office not covered up in high ropes courses and ice cream. If you are doing it to say thanks, then carry on to Rule #2. If your Team Building feels like a day at the office, your team might as well be at the office. Adding in an option for Learning and Development is fabulous – getting out of the office to learn a new skill or develop in areas like conflict management and communication is a good use of time but making it all work and no play makes for a very big waste of an opportunity. Adding a healthy chunk of pizzazz and fun is an effective way to, well, build a team. Sharing an experience, hanging out together, or working thru a group challenge allows connections to happen more spontaneously and far more successfully. I’m a big believer in developing teams through activities; dinners out, bowling, taking in a concert, ball games, playing pool, go karting, kayaking, even catching a flick – notice nowhere in that list do I mention anything that would require contortion, charades, rolling on the floor, or having any employee step waaaay outside of their comfort zone. Weird tricks and crazy antics should be left for people to engage in on their own time with their own friends. There’s a slim percentage of the public who actually enjoy that stuff, why force it on your team? Suggesting that if only your team engaged in trust falls thy would miraculously work better together is insulting. Taking your team someplace fun, away from the office in order to say thank you makes for a team that feels appreciated and has fun in the office. Personality tests, such as the Myers Briggs Type Indicator (MBTI for those in the biz,) can give folks a super strong sense of who they are and why they behave the way they do. They can also give employers a strong sense of who the employee is, where they may naturally be adept and show the ways that someone may contribute to the team. The problem lies in taking the results at face value, and using those results as a basis for either hiring or not, because there is always more under the surface. A great example is with the MBTI. I am an ISTJ – and I am an ISTJ – I like structure and order and I’m also incredibly reliable. The risk comes in when, let’s say, an employer may be interested in hiring me to facilitate training. They may see the ISTJ, and assume that I’m too introverted to speak up and move on to another candidate who shows a stronger preference for extroversion. But what you don’t know about me by only seeing the “I” or the Introvert in ISTJ, is that I actually love public speaking. I adore standing up in front of a group of people and sharing knowledge and having great conversations. ISTJs can actually be extremely adept at delivering training sessions because they are always incredibly prepared and they’re also information junkies – both attributes would be positive assets to an employer’s training department. The lesson here is to use personality assessments to prove what you already and know about someone “Look there is an ISTJ – I knew she seemed like he would be reliable,” and to use it as a way to allow a person a vaster contribution once you do hire someone. They can provide tremendous value for self-discovery, team building, coaching, enhancing communication, and numerous other developmental applications. But due to limited predictive validity (does this test show how an employer will perform in the future? ), low test-retest reliability (will this person answer the test exactly the same each and every time? ), lack of norming (can this test be held up against another person’s and show the truth?) 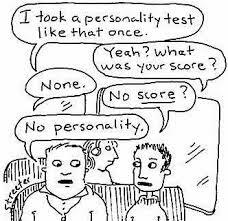 and an internal consistency (lie detector) measure, etc., they are not ideal for use in hiring. Employers with a role to fill who only look at a certain type of person take a big risk in missing out on someone who would be outstanding in a particular role. Personality Tests can be very valuable when used for good – to build people up, but not to exclude potential employees from their workforce. They may just miss out on a shining star. In Part four of our five part series we walk through Skills Based team building. In Part 1 we learned that Team Building has Purpose and that when teams are functioning at their capacity in a productive manner, there is no stopping success. 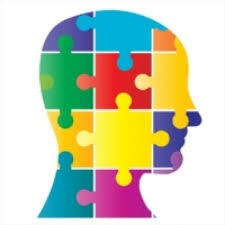 One option is to Team build through Personality Assessment using something like the Myers Briggs Type Indicator to develop a deeper understanding of why we and our colleagues do things the way we do. And from understanding often comes conflict reduction. While Activity Based Team Building is an indirect way of teaching specific skills while brings employees together, skills-based team building means direct learning. This type of team building focuses on skills that can be applied immediately to the work environment. Human Resource Managers may likewise use this team building approach to develop the leadership potential of members. Skills Based Team Building is a superb option for developing your employees both for your organization and for themselves. We know from reading in part one and part two Team Building with Purpose that team building is a lot more than a frivolous experience; team building is not just a socializing event, team building isn’t just a way to get out of the office for the afternoon. Many people think of team building as fun and games, risk taking adventures, or merely play time. Although there’s more to team building than just that, team building can actually be a ton of fun! In Part three of our five part series we walk through activity based team building. Often, when people think of team building, this is the kind of session they think of. These kind of activities address specific development needs of teams such as problem solving, risk-taking, trust-building and paradigm breaking. The idea is not just to have fun together, bond well and learn new skills, but to actually understand how these teamwork lessons can be applied to a work situation. The experience of success in an outdoor challenge can be a great booster for the team’s morale and productivity in the workplace. We learned in part one Team Building with Purpose that team building is one of the best investments that an organization can make, but what are some of the options? What can a company actually do with their team? In Part two of our five part series we walk through one of those options: Team Building by Personality Assessment. In personality-based team building, individuals fill out a psychometric test – MBTI (Myers-Briggs Type Indicator), for example – where they can learn more about their own personalities and those of their teammates as well. The results of the self-assessment are shared with the team and used as a tool for communication and understanding. Personality-based team building is an effective development tool which helps team members gain better self-understanding, become aware of the differences between each other and adjust their behavior to match their teammates’. Different individuals have different motivational needs and different reactions to work situations, stress or change. This can lead people to misinterpret each other’s intentions and actions. Understanding and accepting individual differences will greatly enhance conflict resolution, collaboration and team effectiveness. Improved Communication: A greater understanding of the preferences of others leads to more open and collaborative dialogue throughout teams, between leadership and employees as well as across separate teams of employees. Improved Team Performance: The insight gained into the preferences of those around you can aid in decision making, training, project management and other workplace initiatives. Also, by understanding the sources of stress for your colleagues team members are better able to aid and avoid pitfalls. Conflict Resolution: With increased communication and understanding of differences comes a reduction in the nature and severity of usual conflicts within a work environment. Employees become better at being empathetic colleagues. Selecting Better Employees and Increased Building of Effective teams: If you understand the underlying dynamics of your teams it becomes easier to hire the right fit as well as to put your teams together. Team Building through Personality Assessment can be a fabulous way to bring employees together and keep those connections going long after the session ends. The words “team building” are bandied about in business and industry – but what does it actually mean? We know that when teams are functioning at their capacity in a productive manner, there is no stopping success. We also know the opposite to be true. A team with issues, conflicts or uncertainties, will plod along with success as a far off concept. Whether in athletics, business, education, government, or a group of people trying to plan a birthday party, things are done smoother and with greater success when people work together towards a common goal. The more effective they are at working as a team, the more fruitful the task they set out to accomplish and additionally, as an added bonus, the greater each team members’ sense of satisfaction. Provided team members can communicate freely and share confidence in each other’s abilities and judgment, working in a team is the way to go. Team building is a way to boost confidence in colleagues and ensure that free communication flows. Coming together as a group may come naturally for some people, but positive intentions are not enough to turn a group into a team – and a successful, high-performing team at that. HR Leaders know that exceptional teams are built not born. Teams need building and team building is one of the best investments an organization can make. Team building is about creating connections and bringing out the cooperative intellect within the team. Not unlike many people I know, I didn’t have a professional career path picked out for myself that enabled me to seamlessly transition through High School, Post Secondary and right into the workforce. My best laid plan was to roll out of bed one day, and magically throw a baseball 100 mph. Scouts would clamour to sign me and the lineup of teams looking for a lefty flamethrower would rival the headcount for the first McDonalds cheeseburger in Moscow’s Red Square. Alas, that magic never came. I struggled finding something that clicked. Something I could identify as a passion or pursuant interest that would potentially last a lifetime. Like anyone else without a plan, I tried a wide variety of different things but nothing really stuck. It wasn’t until I started working within the software field, for a video game publisher, that something really clicked for me. Now I know it might seem obvious on the surface, ‘’Young male enjoys working for a video game studio’’ but it was much deeper than that for me. Truth be told, I am not a real avid video game player or enthusiast, only playing casually and sticking to the sports simulation genre. However, what I really loved about working there, was being part of a team. Being part of a team was tapping into those long held dreams of being an athlete. In fact ‘’ex-athlete” (pick a sport) was a very common part of someone’s CV at the studio. This wasn’t by accident I’m sure. There is something about the late nights, long days and tight deadlines with members of the same team that creates camaraderie, not unlike a professional locker room. The “we’re are all in this together” mentality. At the end of any given project it was always amazing to look back at where we started and how it looked at the end. It made me realize the power of people. In my time there, thankfully there were very few projects that were abysmal failures. It was much more common to come out of the process viewing it as a success. What I came to learn was that there was a common thread that helped distinguish what made a project successful and want didn’t. Team Composition. I found it fascinating with the technology and tools that we had at our disposal, the human element was really the factor that could make or break whether we were successful or not. It was also interesting to see individuals who were utter superstars on one project, struggle on another with a different team. They were after all the same person with the same attributes right? It is my interest in human interaction and the power of team that evolved into the formation of PraxisPerformance Group. We want to open up eyes that your own success can be as simple as optimizing the people that are already onboard with you. Not to mention, opening the eyes of the individuals who work within your company into realizing that varying styles and preferences can become your greatest strength as a team. The magic that could have made me part of a World Series Champion never came for me but it’s absence made me able to contribute to making a number of teams stronger. For the uninitiated, a Trust Fall is a trust-building game often setup within a group exercise in which a person deliberately allows themselves to fall, relying on another team member to catch the person. As one of 4 siblings we used to do it for fun; to feel the rush of not knowing if (or when) someone was going to catch you. Of course with family members or close friends, it isn’t long until someone finds it kind of funny to just let the unsuspecting person meet the floor with a thud. Now the real question is, does it actually develop trust and is it a valuable tool to use in your team building? While there is no scientific evidence that it fosters any elements of trust, it can be used as a metaphor or ice breaking exercise. So what does help build trust within a team? The answer is simple; Accountability and Follow Through. As the saying goes, ‘’trust isn’t given, it is earned.’’ So first we need to allow our fellow team members the opportunity to gain that trust. As Ernest Hemmingway famously said, ‘’the best way to find out if you can trust somebody is to trust them.’’ This is surprisingly difficult for some people. I think we have all worked for or with someone who is considered a micromanager, needing to be involved in everything. How did that make you feel? For most of us, we feel frustrated, angry and wondering why they can’t just trust us to do our job. Given the opportunity to deliver results, we become motivated to do a good job and not let our team down. Delivering on the results and following through on our commitments, deadlines or deliverables is what builds trust within the team. It is the commitment we make to one another and following through on those commitments, that really builds trust within a team. While I appreciate the symbolism of the Trust Fall and the little anticipatory adrenaline rush it gives, I’d rather put my faith into the hands of a team member who follows through and does exactly what they say they will. New ways to motivate your team will likely have crossed your mind at one time or another. What are some of the ideas you’ve come up with? Money might have landed in your top three. You may also have considered the team itself that your employee works with or perhaps you’ve thought of looking at location or possibly culture. If this is true of you, to put it bluntly, you’re wrong. Factors such as salary, working conditions, interpersonal relationships with colleagues, fairness and friendliness of the supervisor and company policy do little to motivate the average employee. But they are still very important. If your employee views any of these as negative or lacking then dissatisfaction will soon follow and this dovetails directly with your retention rate. While related, there is a huge difference between motivation and retention. Imagine this scenario; your top Account Manager, Taylor, feels that your company doesn’t meet the desired work/life balance. She regularly comes in early in order to catch necessary clients on the East Coast but is still then required to stay until the usual quitting time. Due to the fact that she is not authorized to leave ‘early’ she’s continually missing her son’s soccer games. This is the sort of reason why employees move on, which of course impacts turnover rate. What if you adjusted the work hours in such a way that Taylor could continue to meet the demands of her role and her life? It’s likely that Taylor would feel positively about her working conditions. In this scenario Taylor’s not likely to move on and therefore the retention rate has increased. However, since Taylor would view this optimistic work/life balance as the way it should have been all along, this adjustment would most likely have little impact on her motivation. To keep your retention higher you will want to look at those factors that aren’t related to the job content, but are related to the job environment (these are listed in the first paragraph.) If these aspects are absent a dissatisfied workforce is a possibility, which leads to an increase in turnover, and turnover really means higher operating costs for lost production time, recruitment and training. So before you push for motivation from a team, take a long hard look at the environmental job factors and make sure they are encouraging. Motivation comes from the content of the job which has a direct impact on satisfaction. If someone enjoys what they do and the inherent facets of the job itself, that employee is going to become better at it and more interested in growing with the role. This improvement equals an increase in production and an increase in production is truly what is desired when speaking about motivating a team. Working within a team can be a fun and rewarding experience. There is something exciting about coming together as a group and delivering the highest performance possible, while utilizing the skills of everyone involved. With that being said, I have been fortunate enough to work together with a variety of fabulous people and on great teams. However, there have also been teams where it was a constant struggle. I would fantasize about days being ripped off a calendar counting down towards the deadline so we could go just all go our separate ways. Invariably, at the root of the issues of these dreary and underperforming teams is the ineffective way that we communicated with one another. When there is a lack of communication on a team, we tend to fall back on assumptions or completely rely on our own instincts when making decisions. These judgements completely dismiss the advantages of teamwork altogether. Teams are generally made up of a variety of individuals who bring with them varied experiences, personalities and ideas. Getting input and leveraging all that knowledge would seem to be of great value, keeping in mind the old saying of ‘’Two heads are better than one.’’ Assumptions and misconceptions, in place of simple communication, can be especially dangerous when it comes to decision making. The Myers-Briggs Type Indicator (MBTI) theorizes, in part, that people have preferences in behavior with how they like to operate within their ‘’Favorite World.’’ Do you prefer to focus on the outer world or on your own inner world? This is called Introversion and Extraversion. These are fairly common words that I believe most people have the understanding on what they generally mean. But how do they help in communicating with one another? And what assumptions do we have about Introverts or Extraverts that get in the way of harmonious team? Introverts typically like to live in a world where they can think things through thoroughly before making their thoughts public. They tend to be more introspective and do all the refining of their ideas internally. When the idea is presented to the group, it is usually very polished and close to what they feel is a final version. Where a negative assumption comes into play is the misconception that Introverted personalities are too quiet and not offering anything up in a team meeting or brainstorming session. In reality, they have great ideas but they just have not had the chance to be refined. They are not generally comfortable in throwing those ideas out as an Extravert is. Ever been part of a brainstorming session and wonder why a handful of people are very quiet and don’t seem to be offering anything up? Chances are, they are an Introvert. Again, the misconception is that they have no ideas and sometimes leads one to think they are not valuable and maybe are not simply smart enough to contribute. In our human nature when we feel someone isn’t contributing, we tend to cut them out of any future thought processes or team decisions because clearly they are not invested in what we are doing. This is not reality. What would work best would be recognizing someone who might be more introverted and allowing them the time to go back from a meeting and give their thoughts after they have had time to think about it. Brain storming sessions are a great way to get everyone involved but keep them open ended and allow people to still input after the meeting is over.